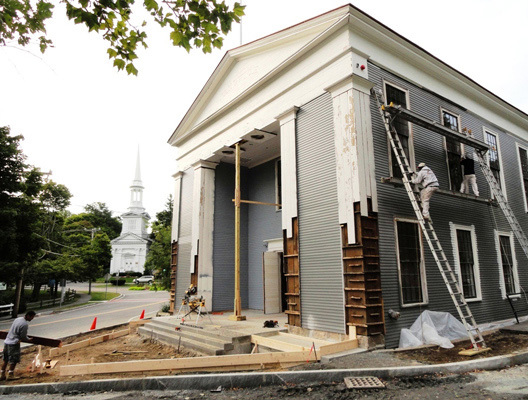 The preservation and restoration of the 1834 Sandwich Town Hall was begun in July 2009 following several years of study & planning, initially by a committee of citizens and later by a task force of town staff & citizens, and with the aid of Community Preservation funds of 3.1 million authorized by three successive Town Meetings. office spaces; installation of new/additional toilets on both floors; installation throughout of multi-zoned heating & air conditioning, and complying with all ADA and Building Code safety requirements. 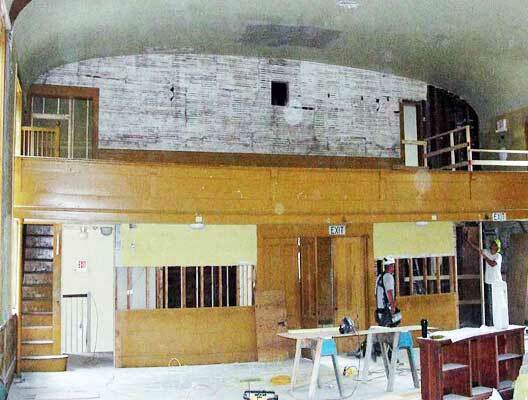 Major corrective changes included: new supporting piers throughout the cellar; covering, channeling, and suppressing cellar water intrusion; and a pair of enclosed steel “summer” beams to support the second floor Meeting Hall. 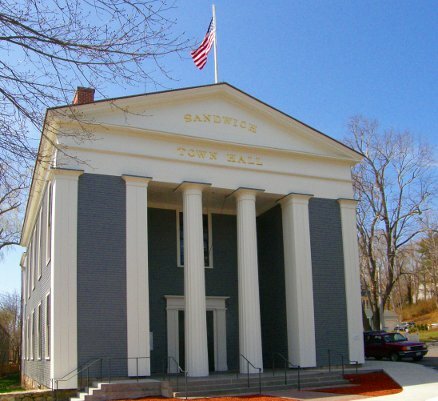 The Sandwich Town Hall reflects over 175 years of Sandwich’s history, government and culture as well as the larger issues of State and National life that have had an impact on the Sandwich community. 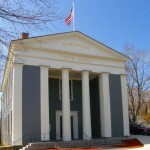 The Town Hall has been in active use as the seat of Town government for every one of those 175 years. There are few towns that can make this claim. 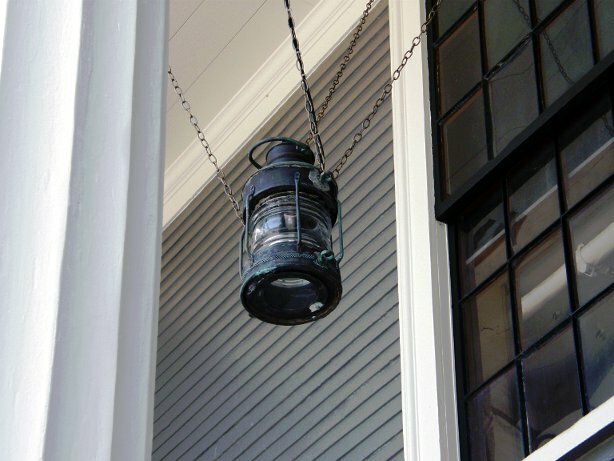 In 2010 the Oldest Town on Cape Cod “Celebrated History & Celebrated Sandwich” with the completion of the historic preservation and restoration of the Sandwich Town Hall, the Town’s most significant structure architecturally and historically, and a vital presence in the living history of the Town of Sandwich. Built in 1833-4, the first floor was originally rented out as commercial retail space, just as Boston’s Fanuel Hall is today. Eventually, as fortunes changed in the town, the first floor was taken over by town administrative offices and the second floor ball room was relegated to use as attic storage. The entire building was restored to its former glory in 2009 through the urging of many town citizens and the Historical Commission. 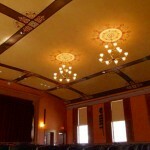 The project was selected for a Massachusetts Historical Commission Preservation Award for 2011. 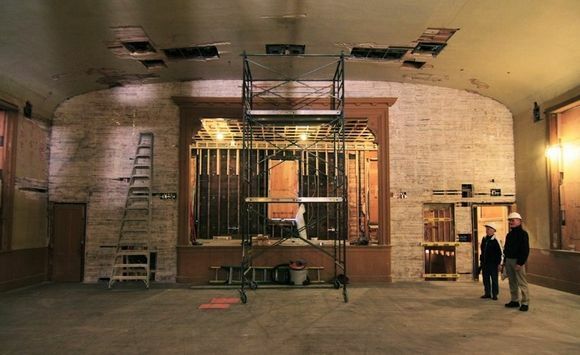 The work would not have been feasible without Community Preservation Act funds. 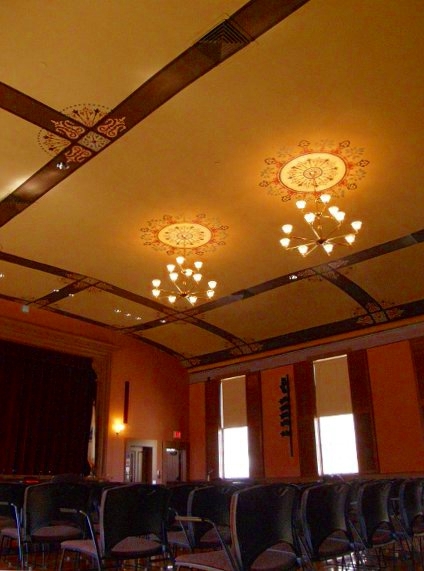 The second floor ballroom is particularly beautiful with its historically accurate stenciling of tan and brown paint and gold leaf, theatrical stage, balcony seating and fully restored historic shuttered windows. 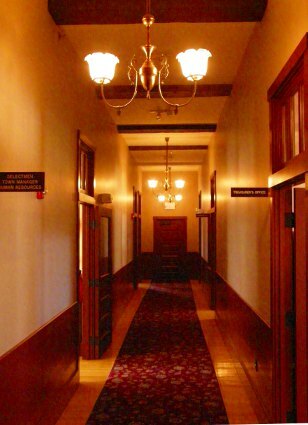 The entire build ing is open to the public with the first floor occupied by town administrative offices. 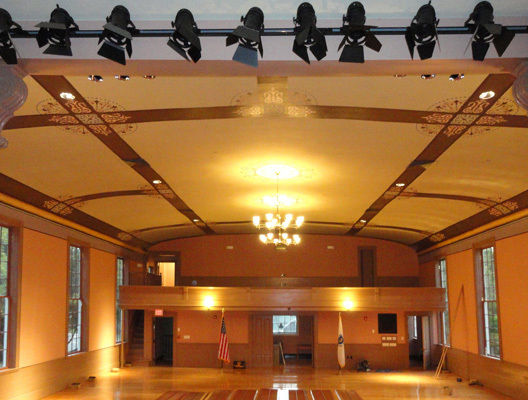 Groups and individuals are invited to rent the town hall for non-political events. 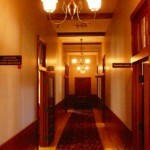 Amenities include a professional sound system, refreshment galley and new accessible restrooms and elevator.